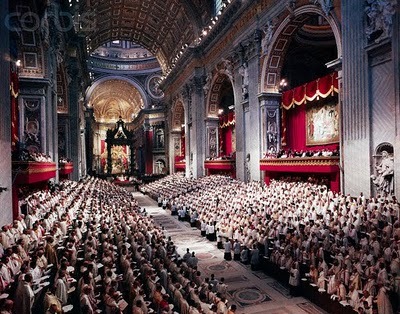 In this month's episode of the Flagship Show, we present a 3 hour in-depth forensic investigation into the Second Vatican Council, the heresies contained within it, and the Catholic reaction to it. 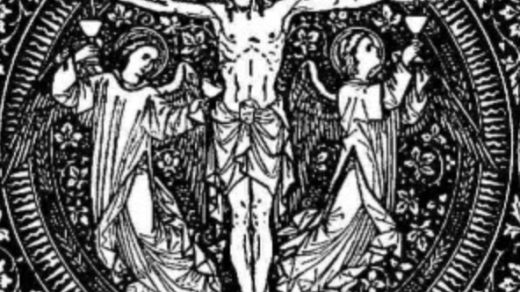 This show was graciously sponsored and brought to our listeners free-of-charge by Novus Ordo Watch. Some Catholics believe that the answer to all our present ills lies in the "problem of the Pope." They will even host entire conferences on such a topic, thinking that the answer to the question of the Pope is the answer to everything; This is only partly true. 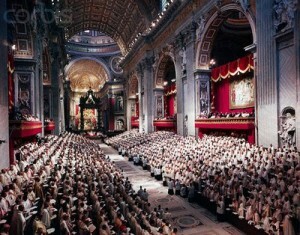 The event that hatched an entire line of questionable claimants to the Papacy was the Second Vatican Council. 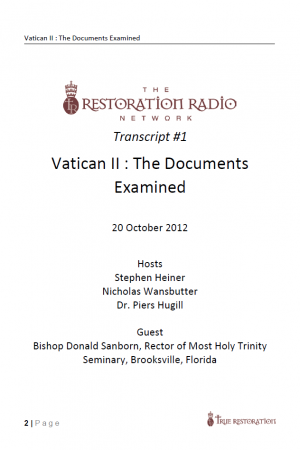 During this special 3-hour show with His Excellency, Bishop Donald Sanborn, we will discuss 6 documents from the Council, problems with those documents, and the implications for Catholics today. Those documents include: Nostra Aetate, Dignitatis Humanae, Unitatis Redintegratio, Sacrosanctum Concilium, Gaudium et Spes, and Lumen Gentium. 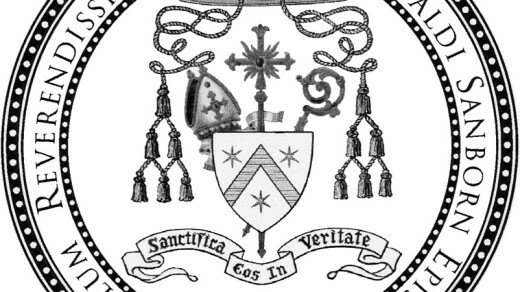 For those unfamiliar with Bishop Donald Sanborn, he is the Rector of Most Holy Trinity Seminary in Brooksville, Florida, and was the first seminary rector for the SSPX in the United States of America in the early 1980s. The Flagship Show℗ is a production of the Restoration Radio Network. Copyright 2012. All Rights are Reserved.